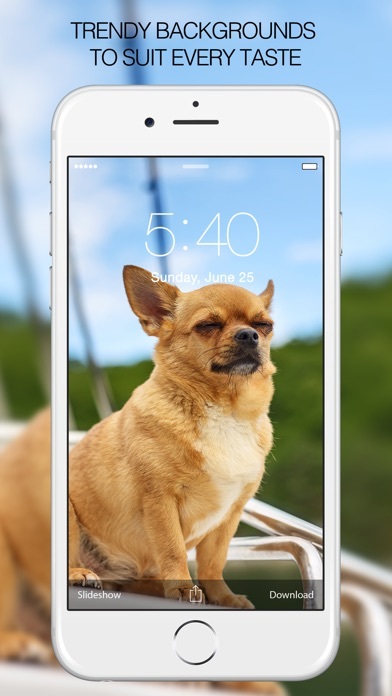 ●●● Best Dog Wallpaper & Background app in the app store ●●● Are you looking for amazing Dog Wallpapers & Backgrounds to spicy up your device? 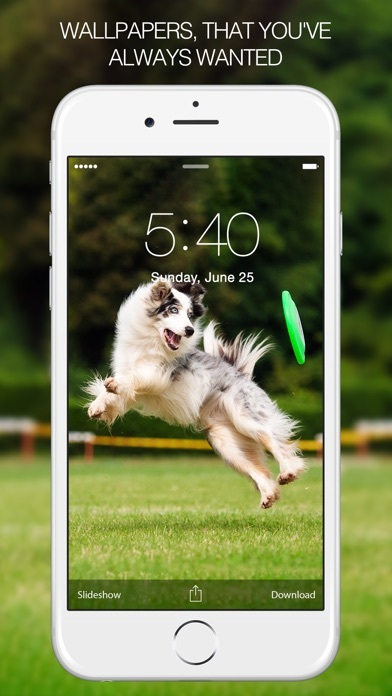 Or just looking for a cool way to pimp up your gadget with Dog Wallpapers & Backgrounds? 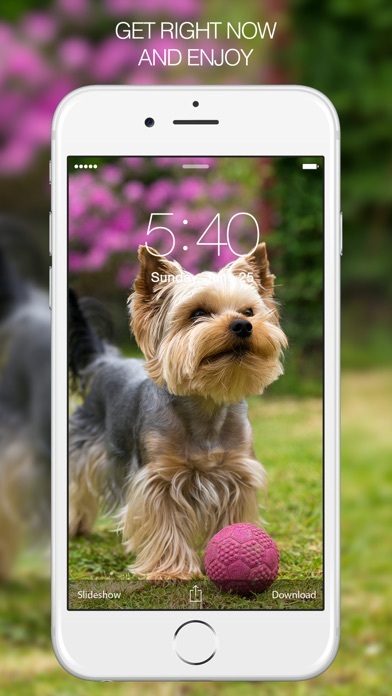 Well look no further because this app will provide you with the best themed Dog Wallpapers & Backgrounds you need. Features: ● Compatible with latest iOS ● Optimal for all iOS devices (iPhone, iPod Touch & iPad) ● Wallpapers made to fit on both home screen & lock screen ● Awesome slideshow feature to view all wallpapers without using your finger ● User friendly interface ● Quick & responsive navigation ● Super fast loading with faster cloud servers near you ● Auto clearance of cached data ● Direct-to-developer support ● Get regular content updates automatically ● Create your own favs category with all of your favorite wallpapers ● Share wallpapers to Facebook, Twitter, Instagram, Viber, WhatsApp, Tumblr, Email & others ● The Latest Trends and Styles Released Straight to your iOS device ● Best collection of iPhone Wallpapers, iPod Wallpapers, iPad Wallpapers ● Cool collection of HD & Retina Wallpapers, Backgrounds, Images, Photos, Pictures, Icons, Themes & Styles Categories: ● Goldenretriever ● Rottweiler ● Saintbernard ● Shihtzu ● Labradorretriever ● Newfoundland ● Siberianhusky ● Weimaraner ● Pitbulldog ● Pomeranian ● Yorkshireterrier ● Poodle ● Pug ● Alaskanmalamute ● Australianshepherd ● Bassethound ● Beagle ● Bichonfrise ● Boodog ● Bordercollie ● Bostonterrier ● Boxer ● Bullterrier ● Cavalier ● Chihuahua ● Corgi ● Dachshund ● Dalmatian ● Doberman ● Englishbulldog ● Englishmastiff ● Englishspringerspaniel ● Frenchbulldog ● Germanshepherd You can search apps on any celebration day like march madness, international women's day, immigration, April fools's day, world forestry day, maritime day, health, heritage, earth, workers day, labour day, press freedom day, mother's day etc. 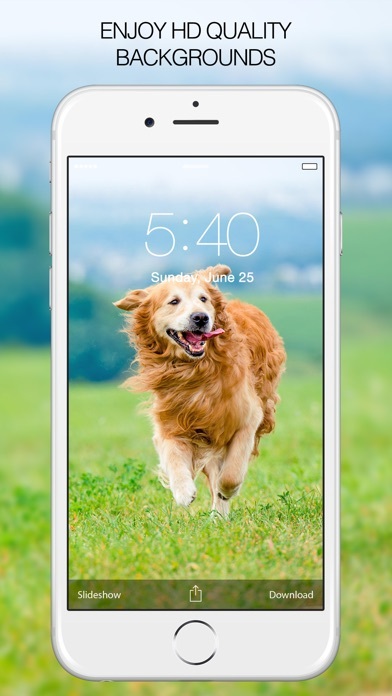 Enjoy all the categories and love the dogs more.... Notes: ● Requires iOS 6.0 or later ● Network connection is needed. iPod Touch & iPad users: please connect via wifi ● Tap “Download” button to save photos to your Camera Roll. 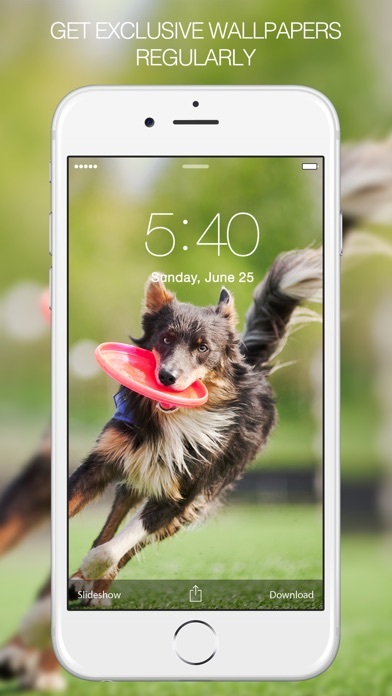 Then you can set them as your home screen or lock screen from there ● Some users report that they can't save wallpapers. To solve this problem - At first go to "PRIVACY" option inside "SETTINGS" in your device, then go to "PHOTO" option and turn "ON" access for this app ● Any feedback is welcome! You can send us any questions or suggestions. We will reply as soon as possible. With your help, we will make this App better and better ● Invite your friends to join us, then enjoy the wallpapers together Disclaimer: All wallpapers submitted by users are to have any copyright credited to their respective owners. Please contact support should there be any infringement. Ownership of any photo is neither stated or implied. For More Updates & Promotional Offers: Follow us on: http://www.twitter.com/HDWallpaperFree Find us on: http://www.facebook.com/HDWallpapersFree Thank you for the feedback and support that help us make this app better. Good collection, but it would better if you could make more collection. Life Hacks Videos – Lifehacks for Kids Money School & others – Make Life Easier.